Since a week, I devote my time to the design of new patterns. I have already put online a tutorial for Split Ring and I will put on sale my new patterns in the coming weeks. I contribute today to increase this list with a tutorial for the cluny (subject that fascinates me for a long time). 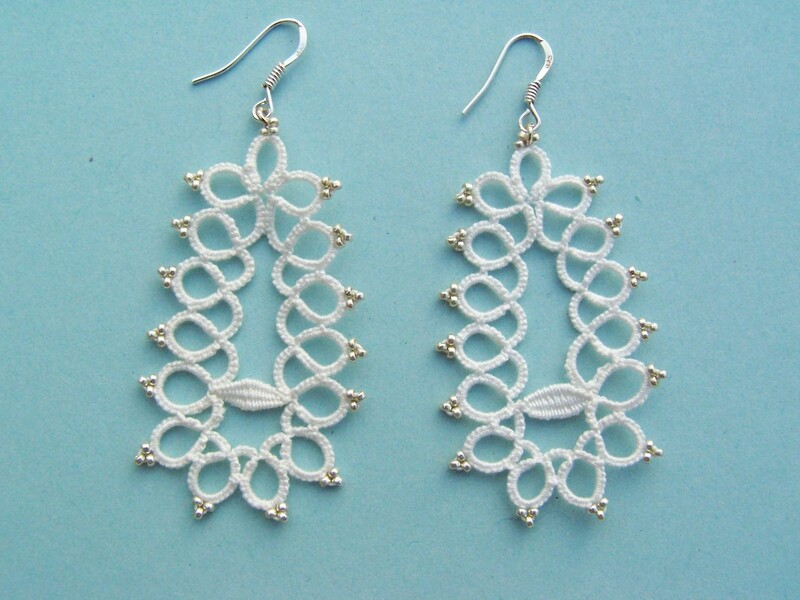 In a previous post, I had a synthesis of cluny techniques in tatting and bobbin lace. The videos of tatting clunies show the techniques of Elisa du Sud and Edwige Renaudin. In my opinion, Edwige’s technique is the easiest to grasp. But she uses a particular tool, probably made-to-measure. Not having such material, I found my solution to me … and that will be easily accessible to all! I myself make my craft bobbin lace by cutting a plate of thick polystyrene. In the end this plate serves me a lot. I use it for blocking … and for clunies. – Detach the needle thread. For ease, leave in place the shuttle that is held by the needles. – When the thread is fully pulled, pull the second shuttle. J’avais également admiré l’outil “spécial point d’esprit”n d’Edwige Renaudin sur cette vidéo. C’est super que tu ais pu créer quelque chose de similaire avec juste quelques épingles. Merci pour ce très bon tutoriel.